Tod Goldberg is the author of several novels, including Gangsterland, a finalist for the Hammett Prize; Living Dead Girl, a finalist for the Los Angeles Times Book Prize; and the popular Burn Notice series. He lives in Southern California where he directs the Low Residency MFA in Creative Writing & Writing for the Performing Arts at UC Riverside. You can follow him on Twitter and Instagram @todgoldberg or visit him daily at Facebook.com/todgoldberg. 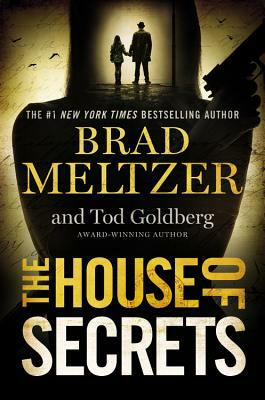 "THE HOUSE OF SECRETS packs a brilliant mystery into a hair-raising conspiracy that will leave readers on the edge of their seats. Fast pacing, nonstop suspense, and a climactic final act make this one of the summer's best novels...Sure to leave you questioning everything-including the history books!"